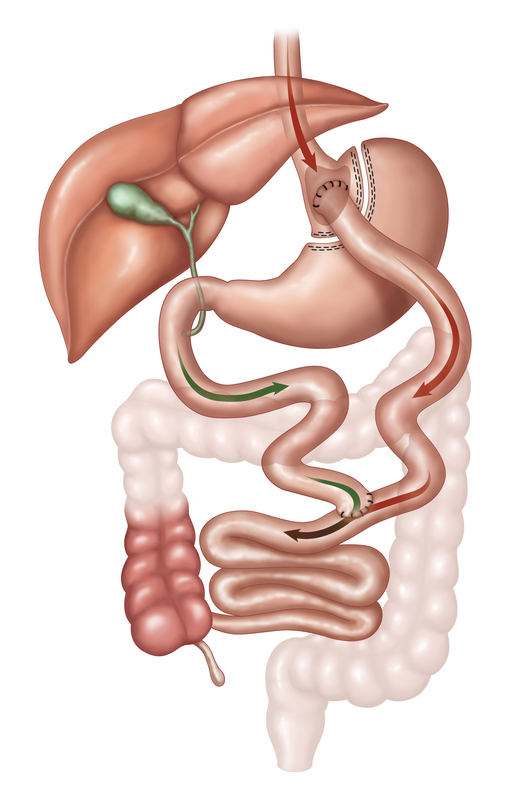 R & Y Gastric Bypass uses a combination of restriction & malabsorption. Due to the excellent results and the minimal discomfort after surgery, it has been thought of as the “golden standard” of bariatric surgery for many years. Not only do patients with comorbid disorders lose, permanently, 100% of the excess body weight, but studies have also shown that disorders such as type II diabetes, high blood pressure and high cholesterol, are completely resolved immediately after surgery. Patients stay in the hospital for 2-3 days. Immediately after surgery, they are observed for 12 hours in our intensive care unit and then placed in a private room in the surgical ward. 4, Erythrou Stavrou Str. & Kifisias Av.